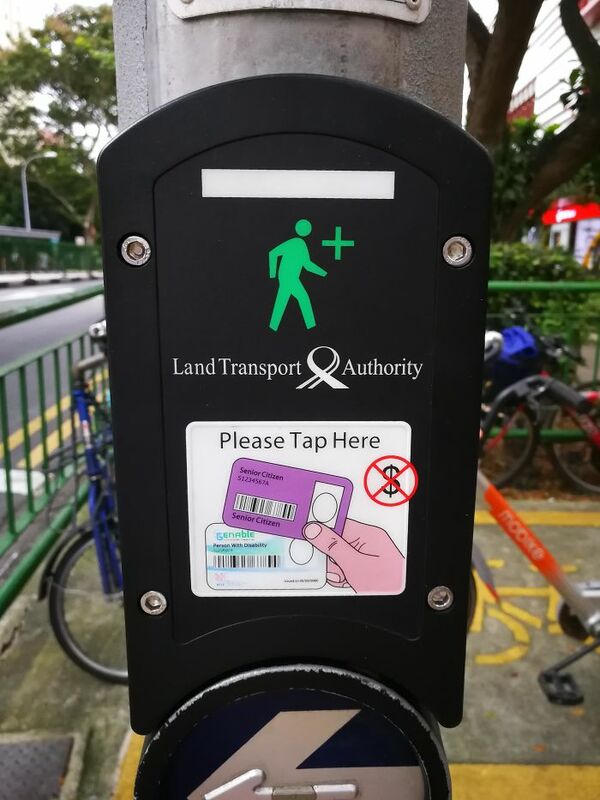 In Singapore, senior citizens can tap their identity card on the sensor at the pedestrian crossing so that they can have 3-13 more seconds depending on the size of the crossing. This takes into consideration everyone’s mobility levels. 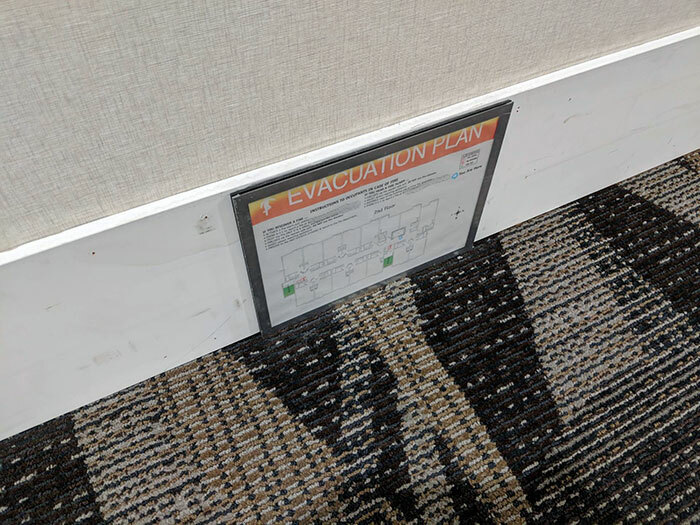 This hotel has fire escape plans at ground level, because chances are if it’s smokey you’ll be low to the ground. 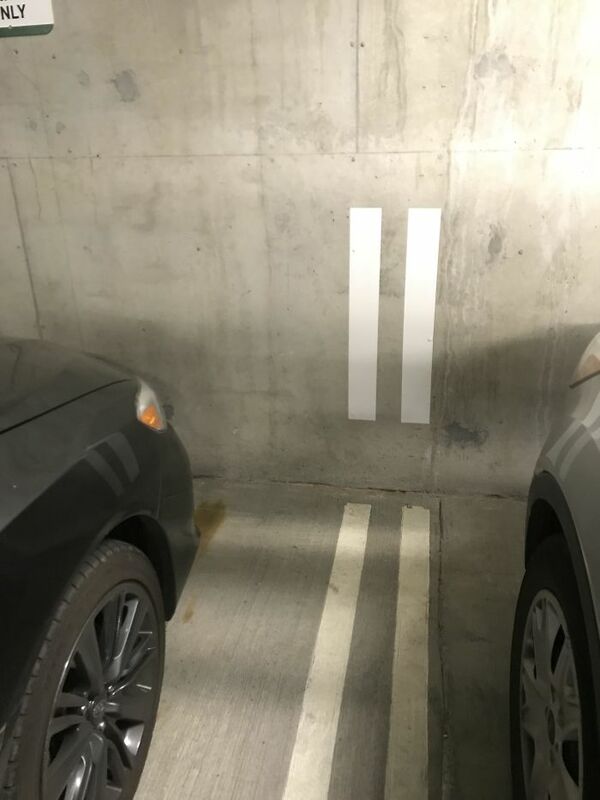 Parking lines that go up the wall so you can actually see if you’re parking in the right position. All garages should have this. Creativity is originality and fluency of ideas. It’s something designers ought to be good at. But every now and then, we get stuck too. There are so many constraints. How do we make all of the stakeholders happy? What about that deadline? Let’s go back to a space where we can play, because, as I learned at a UX conference two years ago, when people view an activity as play, they come up with twice as many ideas as people who view the activity as work. Here’s a practice for getting back to idea generation: Give yourself a plain object with no instructions. How can uses can you find for it? 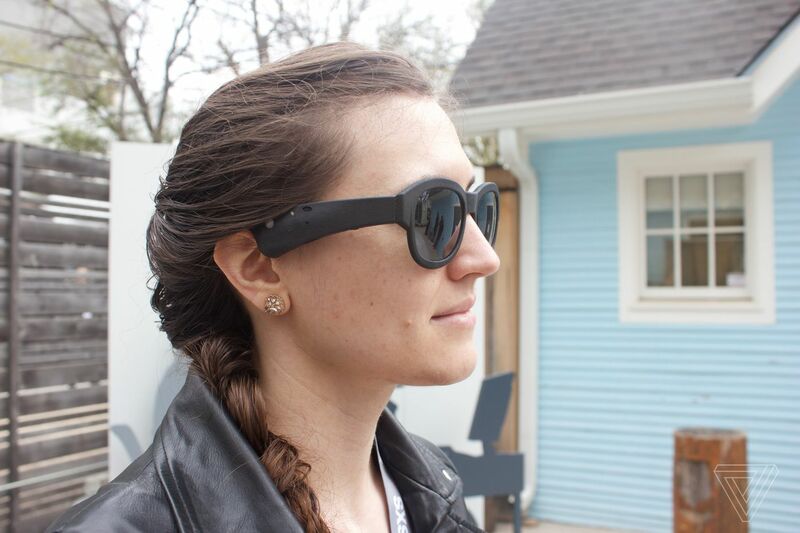 Kat Holmes wrote Mismatch, which talks about how many objects are designed with only one type of user in mind – right-handed computer mouse, pilot seats meant for people who are a certain height, etc – and how these objects lead to exclusion. She then talks about ways to design inclusively for all. What I really liked about her perspective on disability, which is seen by a lot of people as a personal health condition is that she redefines it as a mismatched human interaction, and that those mismatches are “the building blocks of exclusion.” This definition reframes what normal is supposed to be. In fact, Kat says that there’s no such thing as normal. No one is the “average.” We’re all a little different, and we all have different needs. Given that over 1 billion people in the world are “disabled.” Given that, it’s easy to see why designing for accessibility is important. It’s not just your grandfather that can’t read your font; it could be someone who is recovering from an eye surgery to someone who has 20/20 vision but is standing in broad daylight squinting at their phone. Political campaign logos all usually start to look the same after a while. But there are always a few every election season that stand out to me. 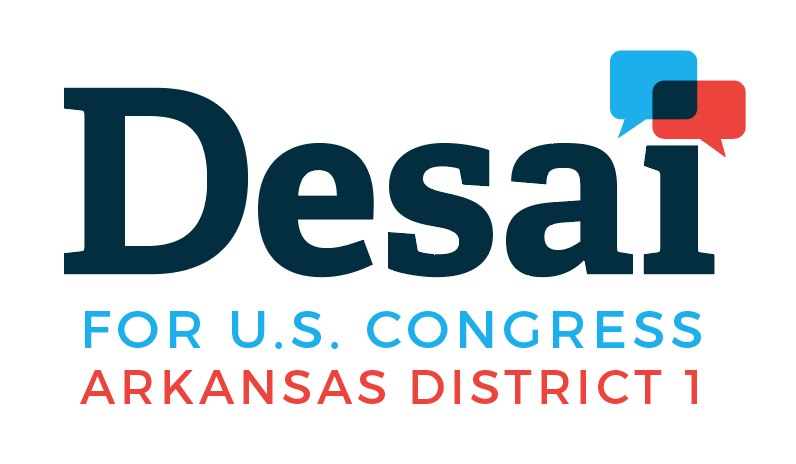 The logo feels like a call-to-action and denotes Alexandria Ocasio Cortez’s cultural background with it’s double exclamation mark. It’s a personal favorite from this mid-term election. 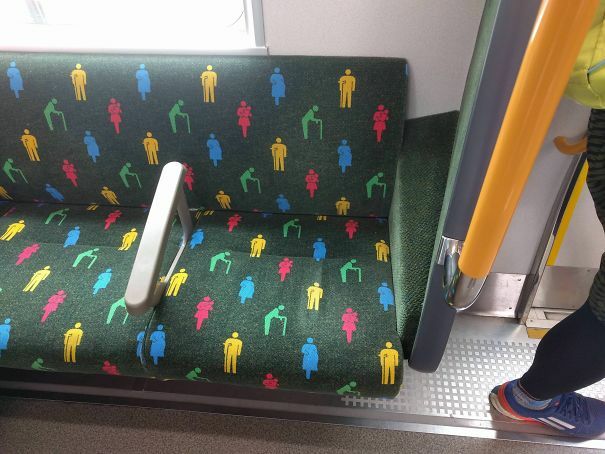 In Japan, the seat pattern tells you where priority seating is. 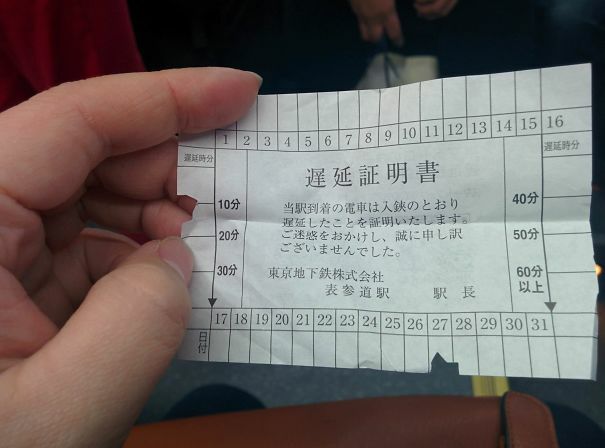 This sheet of paper is given to riders to excuse their tardiness at work when the train is late. The top and bottom of the sheet are days of the month to indicate date and the sides indicate how much later the train was than usual. 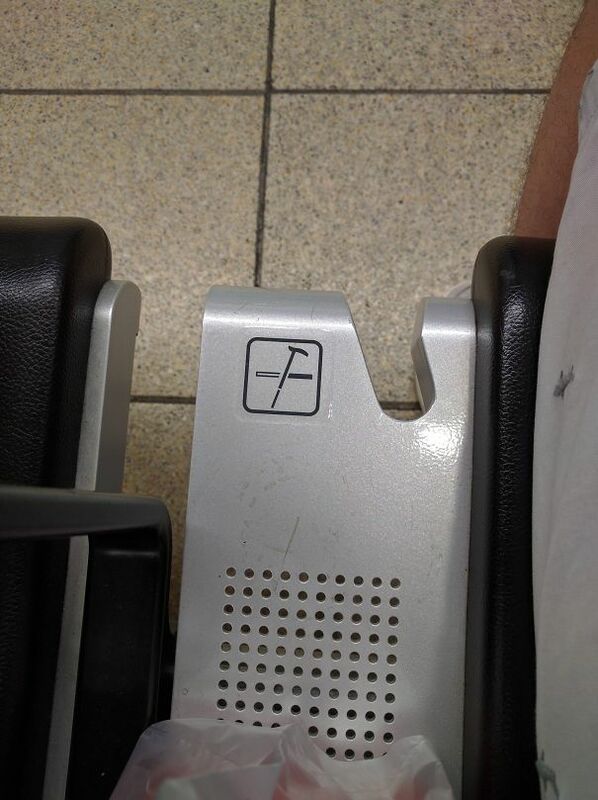 They give seniors a place to hold their cane when they sit on the subway. Inspiration for when your “new ideas” bucket gets dry. It’s connected to the internet, can play for favorite tunes and helps you get ready for the day. In large organizations, my experience has been that having too many ongoing projects at the same time for the same product leads to a messy outcome. The ideal scenario involves everyone having a single vision and general focus area. Imagine you’re designing a sushi restaurant. There are 3 different leaders of this sushi restaurant. One of them wants to focus on sashimi, one wants to diversify the palette with western food and one wants to serve regular sushi. While they all have unique strengths that they can bring to the table (no pun intended), the marketing ad and menu for that restaurant will start to get really confusing. Here’s a real life example. Public transit in the bay area is managed by multiple agencies. CalTrain runs north/south of the peninsula, Muni serves San Francisco and Bart connects the northern half of the peninsula to East Bay. Additionally, VTA serves San Jose and South Bay cities and AC transit serves East Bay towns. I’ve run into more confused tourists in San Francisco than anywhere else, because no one knows which bus/tram/train to take. When I first arrived in the city, I was dumbfounded by how nonsensical the system was. In contrast, Boston’s MBTA is responsible for the commuter rail, subway system and buses. I feel that the same applies to tech products as well. 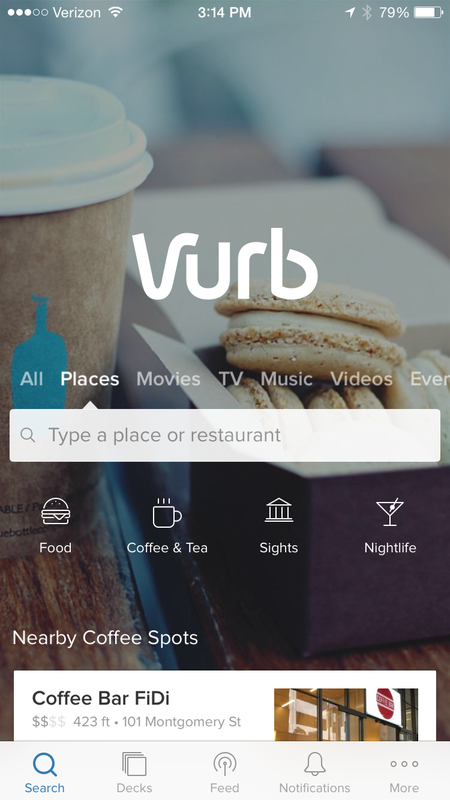 Vurb was an app that helped you figure out what to do in your spare time. You could plan an event with friends, whether it was concerts, music or theatre. They had a lot of interesting concepts – especially that of collaborating with other folks on getting together, but it was hard to figure out when exactly I would need this app. They couldn’t gain mass traction and sold to Snapchat for $110 million+. However, apps like Instagram have remained resilient in today’s mature app market because it does one thing really, really well. It allows people to share a moment through a photo and for other people to see that photo. Its simplicity is what allows it to work. 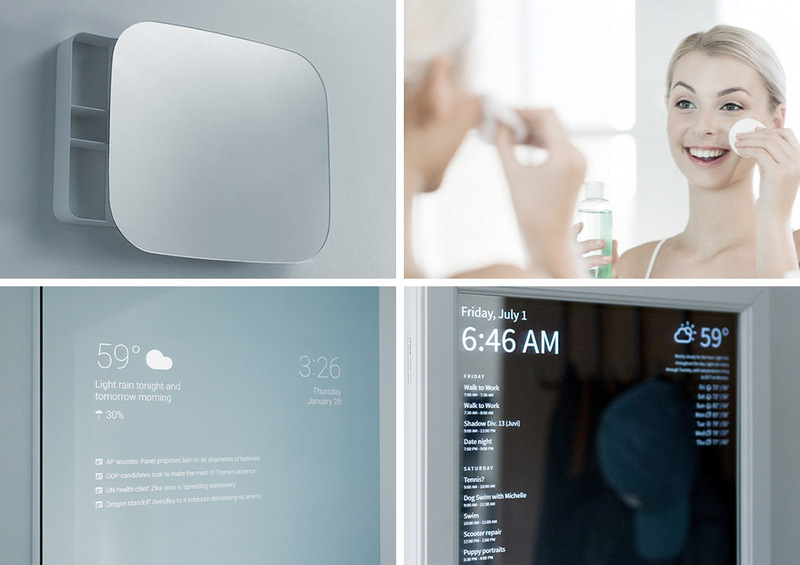 To create a product that people will use, its purpose must be clear and intentional. It seems obvious, but often we try to stack too many features on top of a product, which makes it less desirable in the end. That’s probably a sign for me to give this blog a focus. Until next time!